With only a hand full of hours left until the end of what has been a great year, we thought we would do a quick round up of some of the things that have really stood out for us this year. In April this Chris Akrigg suffered a huge crash whilst filming. To cut a long story short he basically fell off a cliff and seriously injured himself. We hope Chris is making a good recovery and hopefully in 2012, we will see him back on a bike again. In May the unthinkable was achieved on a BMX- A triple backflip. This crazy move was absolutely dialled by 24 year old, New Zealander Jed Mildon. Not only did he successfully complete the triple backflip, but it also put him into the world record books. In June Chris Akrigg realised the video of his crash which made everyone we showed it to say…’OH NO’! July was a particular busy month with the X Games kicking things off to start with, which never fails to disappoint. Channel 4 also announced that a new series was going to be aired in August called the ‘Street Summer Series‘. There was one particular show called ‘Concrete Circus’ which was a huge success and featured some top street stars including Danny Macaskill and Keelan Phillips. They all had to produce videos for the show and put all genres of street riding into the spot light. In case you missed the show you can watch all the final videos here. In August RedBull put on an event in Bristol called ‘RedBull Street Light Sessions’. The evening was held in the Castle Park just outside the Bristol city centre. Lots of riders turned up including some famous faces such as Danny Mac and Neil Tunnicliffe. It was a great event and drew in quite a large crowd, it also gave people the chance who had not seen anything like this before to either have a go themselves or join in the atmosphere. In September Street Ride was lucky enough to be featured on the Crucial BMX blog! A massive thanks to those guys for that! November kicked off with news that the Andrew Denham and Brain Curtis has teamed up to create ‘The Bicycle Academy’. The academy was set up so that individuals can learn how to make a bike frame. It was such a brilliant idea, and we hope everyone who attended thoroughly enjoyed themselves. 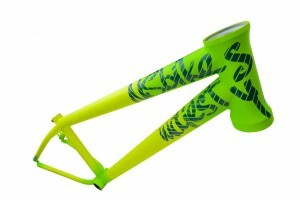 NS Bikes also showed off their brand new LIME full bike and parts off for 2012 shortly after the Eurobike event. We absolutely love the colour and cant wait to see one in the flesh. December saw RedBull organise another fantastic event called the ‘RedBull Downforce’. The event allowed riders to ride in a downhill race through the city of Swansea, Wales. We really hope we see more events from RedBull in 2012, as they are doing wonders for the sport. The final high light of this year was grabbing a chat with Ron, from Union Street Bikes. A true gent and look out for Union Street Bikes in 2012. From everyone here at Street Ride, we wish everyone a happy new year, and here’s to 2012.